For the next 14 days I’m giving up caffeine, alcohol, dairy, sugar and gluten. I’m doing Dr. Frank Lipman’s Eleven Eleven Wellness cleanse. This week I’m going to be filling you in on the WHY’s to which I’m giving up each. Today we start a cup o’ joe. Caffeine is a bitter, white crystalline xanthine alkaloid that is a psychoactive stimulant drug. Caffeine is found in the beans, leaves, and fruit of some plants, where it acts as a natural pesticide that paralyzes and kills certain insects feeding on the plants. It’s most commonly consumed by humans in infusions extracted from the cherries of the coffee plant and the leaves of the tea bush, as well as from various foods and drinks containing products derived from the kola nut. 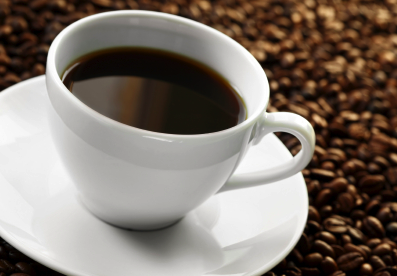 Caffeine targets the cerebral cortex and the brain stem in the central nervous systems (CNS). Doses of 100-200 mg (amt. in 8 oz drip coffee) result in increased alertness and wakefulness, faster flow of thought, increased focus, and better general body coordination. It also, and here’s the bad part, results in restlessness, a loss of fine motor control, headaches, and dizziness. In greater quantities (greater than 2 grams) it can cause insomnia, agitation, tremors, and rapid breathing. Caffeine stimulates the heart, dilates blood vessels (increasing blood pressure), causes bronchial relaxation (can be used as an antiasthmatic drug), increases gastric acid production (think ulcer), and boosts the metabolic rate. Caffeine also fits the definition of an addictive substance, with withdrawal symptoms, an increase in tolerance over time, and physical cravings. Caffeine also has diuretic properties. Decaffeinated coffee and tea contain enough caffeine to cause inflammation, tension and pain in the body. Decaffeinated coffee can have almost as much caffeine as regular, yikes. Caffeine is the world’s most widely consumed psychoactive substance, but, unlike many other psychoactive substances, it is legal and unregulated in nearly all jurisdictions. In North America, 90% of adults consume caffeine daily. The U.S. Food and Drug Administration lists caffeine as a “multiple purpose generally recognized as safe food substance”. It’s just a little info. Do with it what you will. This is one of the five things I’m givin’ up this week. I’d love for you to join me in this game. If you’re a heavy coffee drinker then maybe your game is to cut down to one or two (8 oz) cups. Let’s DO this thing together! This entry was posted in FIERCE FUN, FIERCE HEALTH, FIERCE- ISH by GETFIERCE TRAINING. Bookmark the permalink. Do it! I went cold turkey- no caffeine, dairy, gluten, red meat and preservatives and sugar as best I can. Three months and still going strong. Surprisingly it wasn’t difficult. And there have been some good results…my skin looks great and I’ve lost about 8 pounds. Good luck!